I have a friend from college who is Korean. He and his wife have 3 beautiful children, and as I’ve watched their children celebrate different milestones in life, I learned of a tradition I’d never heard of before: 100 day celebration or Baek Il. 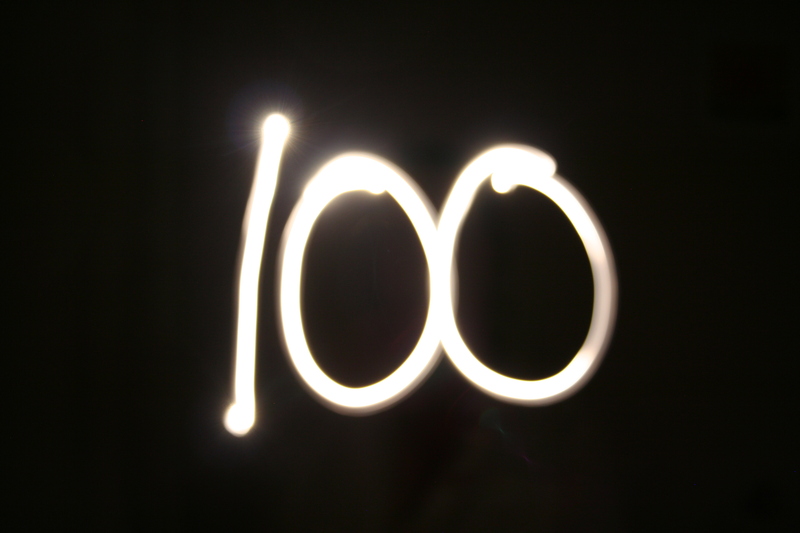 (I have seen schools celebrate the 100th day of school. Is this related to the Korean tradition?) On the 100th day of the baby’s life, if (s)he is in good health, you celebrate, wishing him or her a long, prosperous life. (If (s)he is sick, it is considered bad luck to celebrate.) There is, if I’m not mistaken, a special cake with a specific design on top made from beans. I don’t really know what it all means, but I do know that it’s a celebration of life, and a time to look to the future and anticipate all that will come. When I started Project365, I didn’t really expect to finish it. I’d tried it before a couple of times, and I always failed. But I joined in with the Blissfully Domestic ladies, and they have not only encouraged me to keep going but inspired me with some amazing images of their own. Last week I learned about painting with light from Casey. It’s super-super easy. And addictive, actually. So go watch her tutorial video, grab your SLR camera and try it for yourself! Happy 100 days! I’m really looking forward to learning more and improve my photography skills in the next 265 days. Thanks for hooking me up with the BD flickr group!